The evolution of onboard electronic equipments (GPS, sonars, fishfinders) helps in discovering some new fishing areas and to use deep sea fishing techniques (trolling and bottom fishing). Based on the efforts required, fishing can be described as active (the device is in permanent movement through the water or across the seabed) or passive (the device is usually anchored or adrift for several hours). Passive fishing devices are traps for fish, seafood and shellfish. 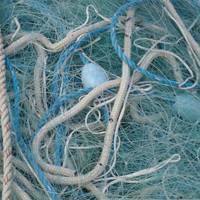 Some of the devices used are pots or creels, nets (trammels or gill nets) and longlines. They are usually anchored to the seabed. Active fishing devices are dragged whilst fishing in order to attract the fish. 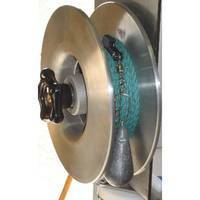 The devices are fishing lines for surface, bottom or pelagic fishing. The most popular fishing methods are surface or deep sea trolling, bottom fishing and a more sportive technique: trolling with a downrigger. Our electric fishing reels will assist you in retrieving your trolling or bottom fishing lines. Our electric haulers will help you haul up your longlines, pots and nets without any efforts and in complete safety.